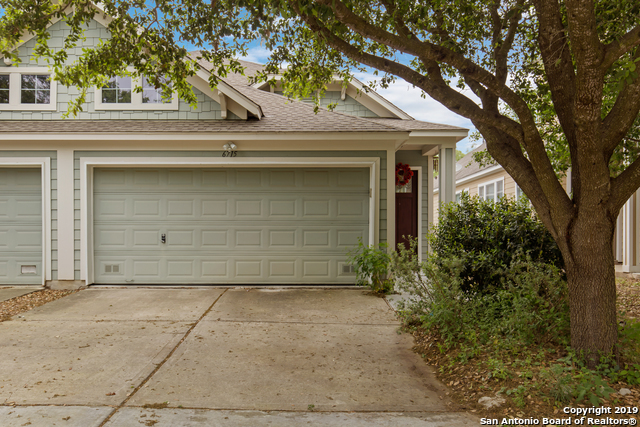 All Terra View homes currently listed for sale in San Antonio as of 04/24/2019 are shown below. You can change the search criteria at any time by pressing the 'Change Search' button below. "Spacious 3 bedroom, 2 bath near the USAA, UTSA and Med Center. Bright and open living/dining combo with high ceilings. Master suite with outdoor access. Fresh interior paint in 2018. New roof shingles in 2016. Foundation repairs in 2018 with transferable 25 year warranty. Manageable backyard with privacy fence."